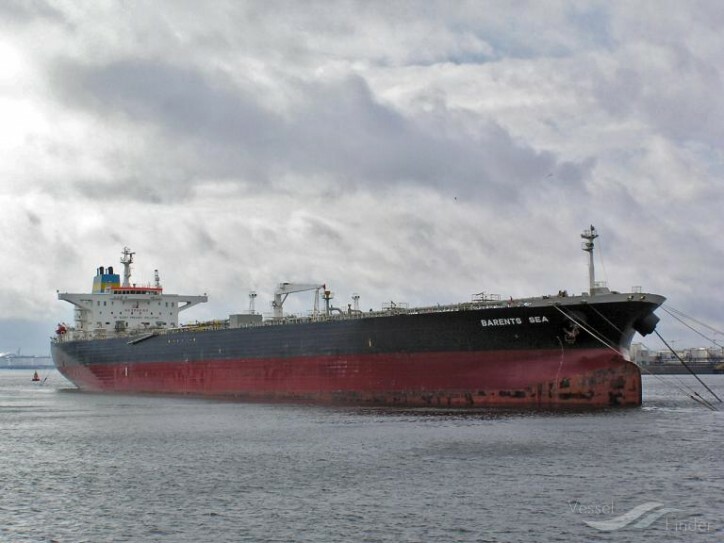 The vessel was seized last week by Cameroonian private militia-men armed with AK-47 sub-machine guns at the Sonara Refinery in Limbe. Eastern Pacific Shipping alleged at the time that Mr Jules François Famawa, owner of local charterer DSC Marine, had "used illegitimate means to seize the vessel for the purpose of holding its owners to ransom in clear violation of Cameroonian and international law". In its statement, Eastern Pacific Shipping thanked the crew for their "unwavering strength, resilience and professionalism throughout the dreadful encounter". The firm also thanked the Maritime and Port Authority of Singapore ,the Republic of Singapore Navy, the various embassies representing the ship's crew - which includes Indian, Chinese and Turkish nationals - and the Cameroonian authorities. "DSC Marine's conduct and blatant disregard for local and international laws have proven to be futile. We sincerely hope that future disagreements can be resolved without resorting to hostile means," said Eastern Pacific Shipping. The firm added it remains "committed to holding the highest management standards in the maritime industry by complying with all applicable local and international rules and regulations with a priority on the health, safety and security of our crew".